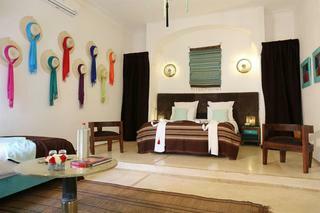 Riad Anyssates Situated in Marrakech, the Riad Anyssates provides luxurious 4x000D star accommodation. No on site car parking is available at the hotel, however off site car parking is available. The hotel offers restaurant facilities. Room Facilities Riad Anyssates. A hairdryer is provided in every room. Smoking in certain bedrooms is allowed, as well as in public areas of the hotel. Please specify when making your booking. Rooms offer internet access via wifi or modem. Wireless internet is also available in public areas. All rooms have tea and coffee making facilities. Leisure Info. 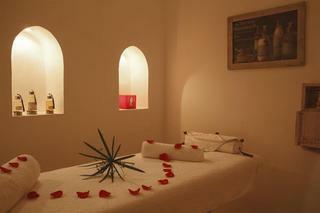 Leisure facilities are available at the Riad Anyssates. The hotel has an outdoor swimming pool. Outdoor leisure activities available include tennis, quad biking and horse riding. Other Info. The hotel offers an airport shuttle service. Pets are welcome at the hotel. Hotel guests can make use of the concierge service that is provided. The hotel has disabled facilities with wheelchair access to the hotel, reception, restaurant, bar, conference facilities and disabled car parking spaces areas of the hotel.